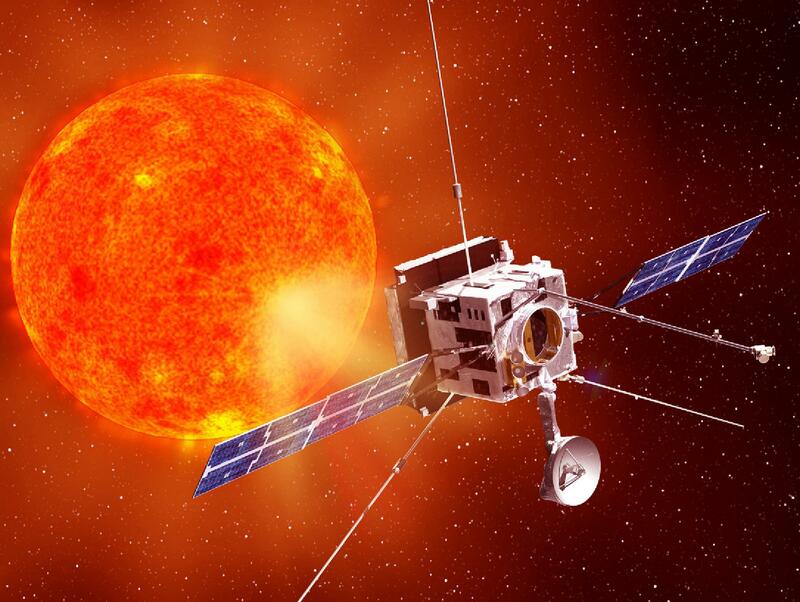 Solar Orbiter is a mission dedicated to solar and heliospheric physics. It was selected as the first medium-class mission of ESA's Cosmic Vision 2015-2025 Programme. The programme outlines key scientific questions which need to be answered about the development of planets and the emergence of life, how the Solar System works, the origins of the Universe, and the fundamental physics at work in the Universe. Solar Orbiter is an ESA-led mission with participation from NASA, who will contribute the launcher, one full instrument and one sensor. 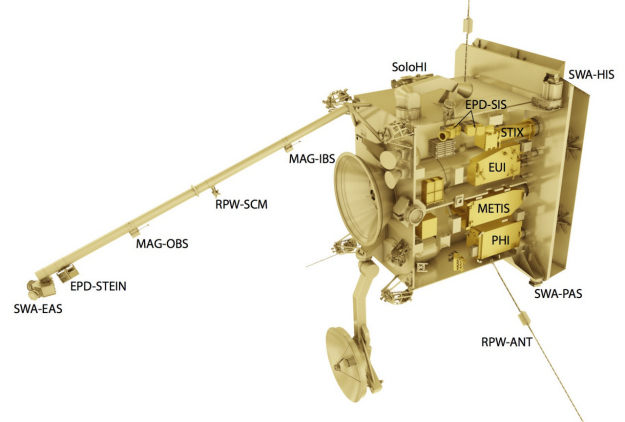 Astrium UK will lead a team of European companies who will supply various parts of the spacecraft. The contract carries a value of about €300 million, one of the largest ever signed between the ESA Science Programme and a UK company. In addition, ten scientific instruments will be funded by the Member States of ESA and the United States, and developed by teams led by Principal Investigators from Belgium, France, Germany, Italy, Spain, Switzerland, the UK, and the US. The SGF Ltd. invited on co-investigatator level to develope the electrical ground support equipment, the Wigner ECP will participate in data processing of the magnetometer (MAG). The principal investigator of the MAG instrument is Tim Horbury from the Imperial Colledge London. The magnetometer will provide in situ measurements of the heliospheric magnetic field with high precision. This will facilitate detailed studies into the way the Sun’s magnetic field links into space and evolves over the solar cycle; how particles are accelerated and propagate around the Solar System, including to the Earth; how the corona and solar wind are heated and accelerated. Scheduled for launch in January 2017, the mission will provide close-up, high-latitude observations of the Sun. Solar Orbiter will have a highly elliptic orbit – between 0.9AU at aphelion and 0.28AU at perihelion. It will reach its operational orbit three-and-a-half years after launch by using gravity assist manoeuvres (GAMs) at Earth and Venus. Subsequent GAMs at Venus will increase its inclination to the solar equator over time, reaching up to 25° at the end of the nominal mission (approximately 7 years after launch) and up to 34° in the extended mission phase. 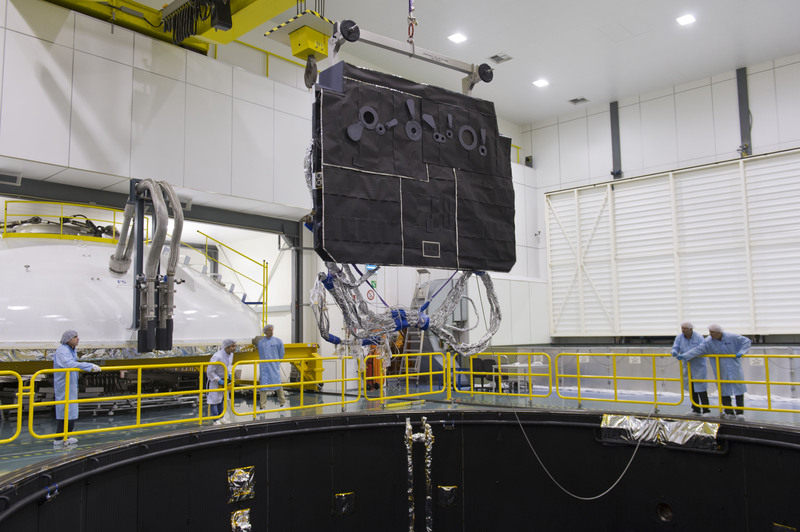 The engineering model of the Solar Orbiter's sunshield, sandwiched together from multiple layers of titanium and outermost carbon coating, was placed in the 15 m-high and 10 m-diameter Large Space Simulator at ESA’s Technical Centre, ESTEC on 2 May 2014.